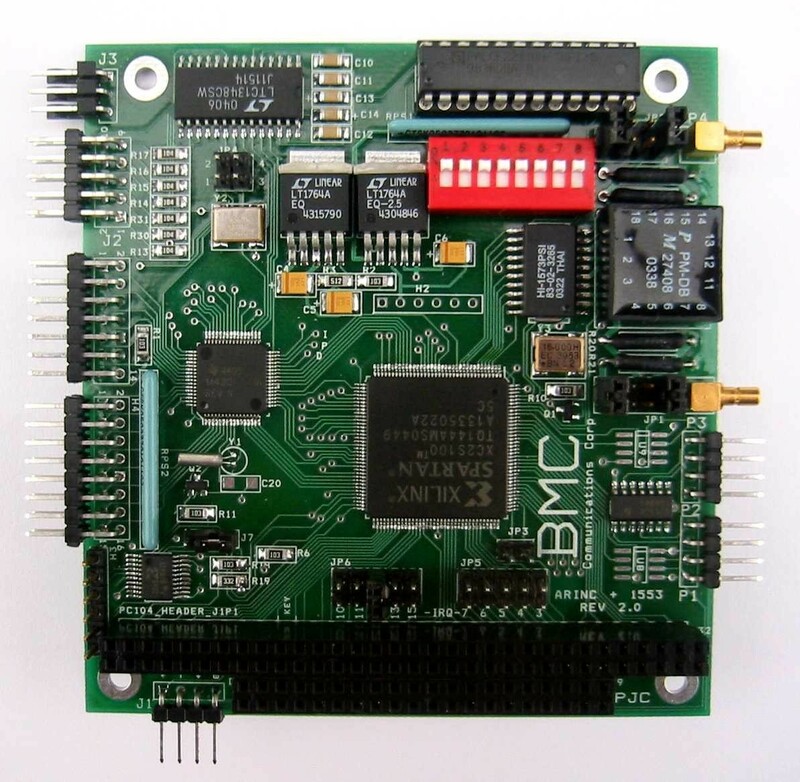 The PC104-ARTIC interface has a RISC low power processor with full control of up to 4 ARINC transmit/receive channels as well as up to two RS232/422 channel on board. Support all ARINC 2 and 6 wires protocols. UP to 960 ARINC messages buffer store. Baud Rate up to 1 Mbit. BMC's PC104 –ARTIC-4T4R provides new levels of performance and flexibility for ARINC 2 and 6 wires protocols for PC104 form factors. Available in a range of configurations to match your needs, the intelligent PC104-ARTIC provide complete, integrated databus functionality for ARINC 429 and related avionics protocols. The PC104-ARTIC supports maximum data throughput on all channels while providing on-board message scheduling, label filtering, multiple buffering options, time-tagging,. PC104-ARTIC-4T4R includes an API (Application Programming Interface) software that reduces application development time. Standard features include 32 Kbyte of RAM, 32-bit message time-tagging, triggers, extensive structures. On-board Built-in-Test The PC104-ARTIC- Bus Monitor provides 400 BUFFERS with channel and 32 bit high resolution timetag and unparalleled monitoring of fully loaded buses. PC104-ARTIC-4T4R multi-function interfaces are easily software programmable to supports maximum data throughput on all channels simultaneously, operates with 4 Receivers and 4 transmitters and Bus Monitor functionality. The PC104-ARTIC-429 interfaces have all the features and functionality to operate with any transmit/receive rate ranging from 100 to 1 Mega bit. The 1553 API is provided in source code, along with integrated support for Windows XP, 2000, Me, NT, 94, 95.